My name is Marco Moretti and I'm the son of the Moretti Crime Family boss. He's also my father and a bit of an a*****e, but we all have problems, don't we? I've always loved women of all shapes and sizes and they've loved me in return. Sometimes a bit too much, but a stalker or two keeps things interesting. My position within "the family" has been the most important thing to me, until fate—and food poisoning brought Nina Gavino into my life. I've finally found the woman that I can't live without and she wants nothing to do with me. My usual charm has gotten me nowhere. And if she ever finds out that I killed her stepfather and stepbrother, I'm afraid nothing short of a miracle will make the beautiful spitfire give me a chance to prove that there is more to me than the job she holds so much contempt for. 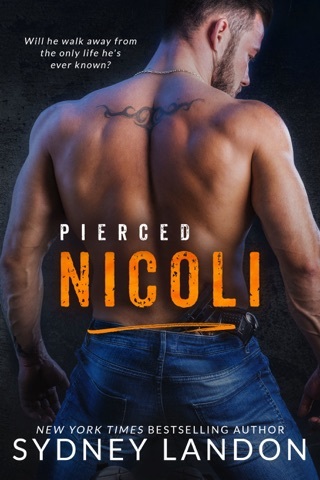 This is the 8th book in the Lucian & Lia/Pierced series. 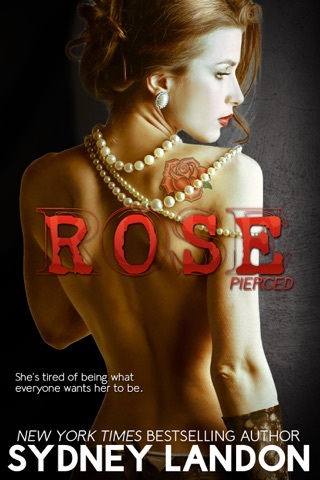 I have been hooked since I read Pierced and happily followed the series. I have enjoyed each book for its unique storyline and, at times, gotten overly involved with the characters ( arguing with them when they make bad choices, etc.). However, this is the first time I have to give one of them only 3 stars. Although Marco should have been a great story about the man, his family ties and the woman he was pursuing, it was just a meh story about the above. The set up was there, Nina Gavino, rival families daughter, Marco Moretti, ruling families son, she saved his life and he was hooked every since. How could this not be great? I felt those elements of the story were overshadowed by the complicated plot twist about his secret life. Somehow, for me, the story just never came together. Too much inner chatter from the characters detracted from time that they should have been interacting with each other. Interesting parts were there, but this one wasn’t my favorite at all. Nicoli is next up, I hope it’s better. I loved Marco. I was truly blindsided by some of the info revealed about Marco. Don’t want to reveal any spoilers so just know you won’t be able to put this book down. Had to read from start to finish. Sydney Landon has another winner.